I became a busy person because I say “Yes” a lot. When you say “Yes” as frequently as I do, you end up constantly busy and off to exciting adventures. I grew up on Long Island, just outside of the City that Never Sleeps. My free time was spent doing all sorts of activities – dancing, playing music, camping, baking. So, I was always busy and pushing myself to try new things. I grew fond of science, technology, engineering, arts, and mathematics and decided to study at Rensselaer Polytechnic Institute (RPI). At RPI, I immediately started second-year courses for Industrial & Management Engineering. I was busier than ever as I also worked part-time, eventually working in manufacturing and enjoying a mix of engineering and operations management projects. After looking at job opportunities, I said “Yes” to joining UTC’s Operations Leadership Program (OLP), a two-year rotational assignment. That’s when I really started to move. I left New York and moved to Connecticut, Illinois, Georgia, back to Connecticut, and back to Georgia. This led to great challenges from supervising professionals with twice my experience to leading implementations of new manufacturing technologies. I decided I would need a top-tier MBA program so in a few years I could say “Yes” to an operations management role with more responsibility. The Tepper Part-Time Online Hybrid MBA format looked like the best of both worlds. 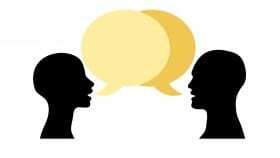 I could network in-person with other professionals and I could study remotely so I am flexible to say “Yes” to new opportunities, wherever they may be. It’s only Mini 1 but I’m saying “Yes” to membership with the Business & Technology Club, Healthcare Club, and Operations Management Club among others so that I can say “Yes” to great opportunities like virtual corporate presentations and travelling to Treks in busy cities. 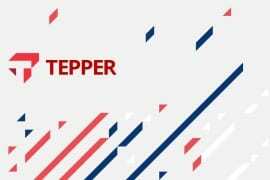 Most recently, Tepper asked “Can you help? We’re looking for first year bloggers.” Unsurprisingly, I have said “Yes”. Stay tuned to see what Tepper MBA adventures I say “Yes” to next. Tepper PhD Student INFORMS Award & Honorable Mention Networking Route Tips!